What Does the Smoke From my Exhaust Mean? 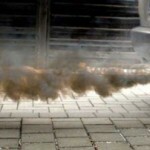 If you see different colored exhaust fumes it’s time to pay attention to your car. Even if your vehicle isn’t flashing any warning lights, the smoke coming from your exhaust is a signal that something might not be working properly. *What does BLUE smoke from my exhaust mean? 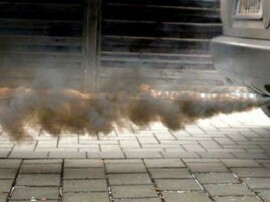 If your car is blowing blue smoke, it’s a clear sign that the engine is burning oil. What happens is that the valve guide seals or piston rings are worn out, and oil is leaking past from where it should be lubricating the moving parts, to the combustion chamber where it’s being burned up with the fuel. If you’re seeing this kind of smoke, check your oil regularly and watch for consumption issues. While an issue that normally should require immediate attention and expensive repairs, including some internal replacement parts, if you’re vehicle is old and the leak is minimal, it can be carefully managed by topping up the oil on a regular basis. Along with environmental damage, burning oil can cause rough starts, as the process can ruin the car’s spark plugs. There is another reason for blue smoke, and that’s if the car is turbocharged; the smoke being a sign that the blower is in need of rebuilding or replacement. *What does GRAY smoke from my exhaust mean? Gray smoke is hard to diagnose directly. Like blue smoke, it can mean that the car is burning oil or suffering from a bad turbocharger. Take the same precautions as with blue smoke, and check for excessive oil consumption. Gray smoke can also be an issue with your automatic transmission fluid getting burned up in the engine. A faulty transmission vacuum modulator would be the culprit in this situation, leading to transmission fluid getting sucked into the engine and getting burned up. Furthermore, gray smoke could mean a stuck PCV valve. The PCV system (Positive Crankcase Ventilation) cuts down on harmful emissions by recycling them back into the combustion chamber. However, when the PCV valve gets stuck, pressure can build and lead to oil leaks. Fortunately, PCV valves aren’t expensive, and can be a quick job for a mechanic or a do-it-yourselfer. 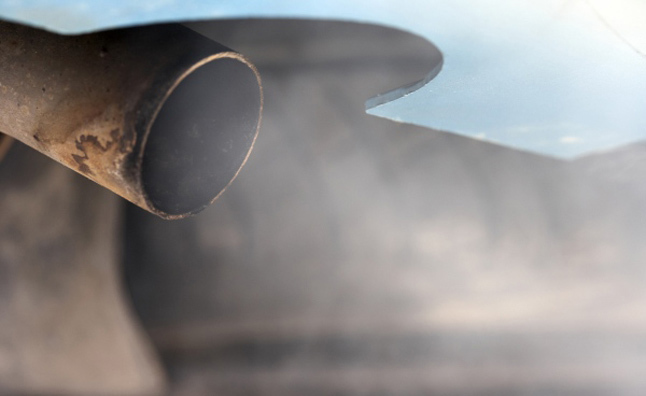 *What does WHITE smoke from my exhaust mean? White smoke can be nothing to be concerned about if it’s thin, like vapor. This is probably the result of normal condensation buildup inside the exhaust system. This kind of smoke disappears quickly. 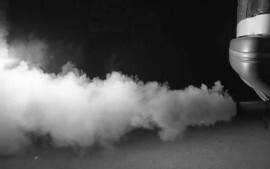 However, thicker smoke is a big problem, and can be caused the engine burning coolant. This can be the result of a serious issue like a blown head gasket, a damaged cylinder head, or a cracked engine block – all of which are costly repairs. Don’t ignore it, however, as the problem could become far worse. Even a small leak in the coolant can lead to overheating and serious risk of damage to the engine. A coolant leak can also mix with oil and cause serious headaches for you and your car. *What does BLACK smoke from my exhaust mean? Black exhaust smoke means the engine is burning too much fuel. The first think you should check is your air-filter and other intake components like sensors, fuel injectors and the fuel-pressure regulator. Other reasons could be a clogged fuel return line. Black smoke is usually the easiest issue to diagnose and fix, but burning unnecessary fuel will definitely affect your fuel economy, so don’t think of avoiding this one to save money, it won’t work. Any smoke coming from your car’s exhaust pipe is a sign that your car is in distress. Pay attention to what it needs to ensure more miles for your vehicle.